Kamikaze Ants: They Blow Themselves Up Real Good! Johan Billen of the Catholic University of Leuven (KUL), Belgium and his team researched a kind of ant that’s especially evolved to kill itself in order to save the nest. 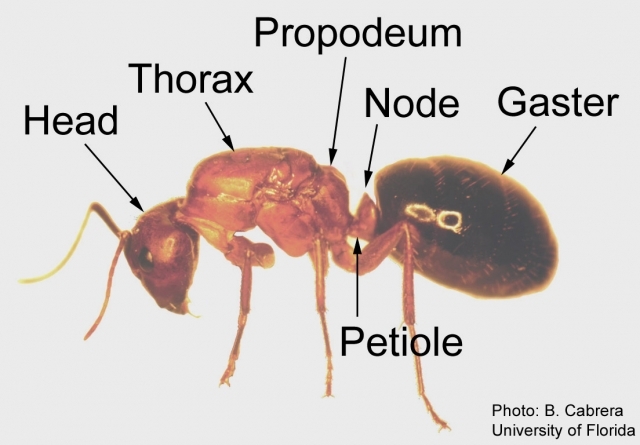 Several south-east Asian species of ant in the Camponotus cylindricus group (i.e. carpenter ants) have enlarged mandibular glands that extend into their gaster (the bulbous posterior portion found in bees, wasps and ants). When disturbed, the ants rupture the membrane of the gaster, causing a burst of secretions containing chemicals – the largest gland reservoirs yet known in ants – that immobilize small insect attackers and kills the ant. In other words, the six-legged blast-ended ant grabs onto the invading enemy and squeezes itself to death, literally blowing itself up and shpritzing a deadly sticky yellow goo everywhere, killing both intruder and ant. And these little suicide bombers operate on a hair-trigger; their abdomen walls ruptured even when researchers lightly touched them! Now while all 10,000 species of ant have glands in their jaws to release chemicals in alarm or defence, in at least nine species of the Cylindricus complex of ants most of the body is given over to storing the deadly secretion… to the point that they have very little space in their bodies for food. That’s one heck of a payload! And it’s not like the little buggers only blow themselves and their enemies close to home. Kamikaze ants have been known to carry a suicide explosion mission onto enemies far from the colony. 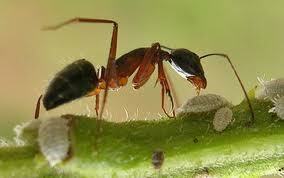 The exploding ants were first reported by a German biologist in the 70’s. He noted that when he grabbed the ants with forceps, they would explode. He even took them back to Europe and introduced them to other ants and the result was the same… the ant would clasp on to the other ants and explode. Diana “Dinah” Davidson, one of the study’s authors and a retired ecologist from the University of Utah, was so fascinated by the ants that she paid her own way to Brundei on the island of Borneo to study the ants in the field. “If you’re going to find suicide it’s not surprising to find it in social insects. It was surprising to find it so far from the colony,” said Davidson. Sounds like some kind of bug bushido samurai philosophy at work here. If that isn’t cool enough, they way these self-exploding ants do it is delightfully gross! “They grab the leg and wrap themselves around the ventral side of that opponent and when they do that the mandibular gland compound comes out through the anterior mandibular gland opening and they are forced out through pressure because the ant is squeezing itself,” said Davidson. That’s right: The ant squeezes itself to death. Quite a gift for imagery, our Ms Davidson has! Well done. Well, folks… that’s it until next time something catches my attention from the ever-bizarre world of nature! Does anyone know if these ants are radical Muslims? This is pretty amazing. It’s crazy what lengths animals will go to to protect their nest, although I have to say I don’t think I’d ever want to see exploding kamikaze ants up close and personal. And most people think getting shpritzed by a skunk is bad! It sure is good that humans and insects/spiders maintain the proper size ratio. If we were tiny or ants were huge, life would be a lot more of a pain in the tush than it is already. I have always had a fascination for entomology and arachnology. I also love chiropterology. Just a nerd at heart, I guess!